Ranging from helpful to heartwarming, we've captured some of our favorite moments on film to share with you. Whether you're on the hunt for practical dating advice, insight into our most famous success story, or PlentyOfFish's past coverage in the press, you've come to the right place. Contact pr@pof.com for any interview opportunities. Check out our YouTube channel and keep up to date on our newest promotions. 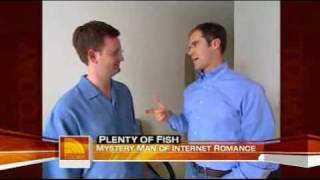 PlentyOfFish Why Pay to Meet Someone?